My teaching style is a little different than many in the healing and metaphysical world. I tend not to take things too seriously. I believe that positive intent is more important than any hard and fast “rule” about how something works. My goal is to empower you to help yourself and others; to trust your intuition, and to approach it all with humor and humility. We’re all walking this Earth together. We’re all facing our own lessons and trials, celebrating our own kinds of successes. No one of us is any better than the other; we’re all just on different parts of the path of life. 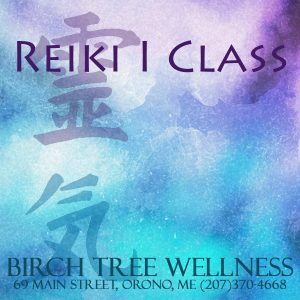 Reiki is a Japanese technique for stress reduction, relaxation and healing. This modality is based on the idea that an unseen life force energy flows through us and gives us life. If this energy is low, or blocked, then we are more likely to feel stressed or ill. When this energy flow is increased and blockages removed, we feel more positive and healthy. Reiki is taught in levels. Each level teaches you different aspects of Reiki. Reiki I: Attunes/opens you to the Reiki energy and the ability to channel Reiki for yourself and others, mainly at the physical level. Reiki I is open to anyone, no experience is necessary. This is usually a one day class. The next Reiki I Class is TBA. Reiki II: Opens the Reiki practitioner to a greater level of energy. You learn three symbols which can be used to increase the energy channeled, work on mental and emotional healing, and send Reiki energy from a distance. Reiki I is a prerequisite for this class. 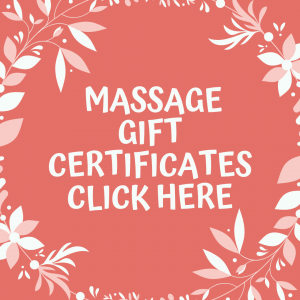 You don’t have to have taken the class with me, but you should have your Reiki I certificate and I’d like to chat with you a bit beforehand. The next Reiki II Class is April 6, 2019. Click here to register. Advanced Reiki/Reiki Master: The student receives an additional attunement to increase the energy flow, and you receive additional symbols and learn how to do healing attunements. Those interested in becoming Reiki Master/Teacher will learn how to give Reiki attunements. The next Advanced Reiki/Reiki Master class is TBA. Are you having trouble getting to sleep at night? Maybe you just can’t seem to shake the tension in your body at the end of a long week? There’s hope! Bring a blanket or a yoga mat, and prepare to relax! For this class, you will lay on the floor and be guided through a deep relaxation technique. You’ll learn how to let your tension go, and you’ll be able to take this technique home and use it whenever you’re struggling to sleep or just need some help relaxing. Next class is TBA. Birch Tree Wellness is teaming up with Tanya from The Moon’s Cache for this awesome workshop! 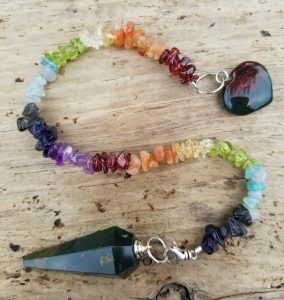 Tanya will bring everything you need to make your own beautiful gemstone pendulum, including gemstone points along with copper and silver findings. Next workshop TBA. To let me know you’re interested in one of the classes offered, please contact me, if there’s enough interest, the next class will be scheduled sooner! Can You Avoid a Wrinkle in Time?